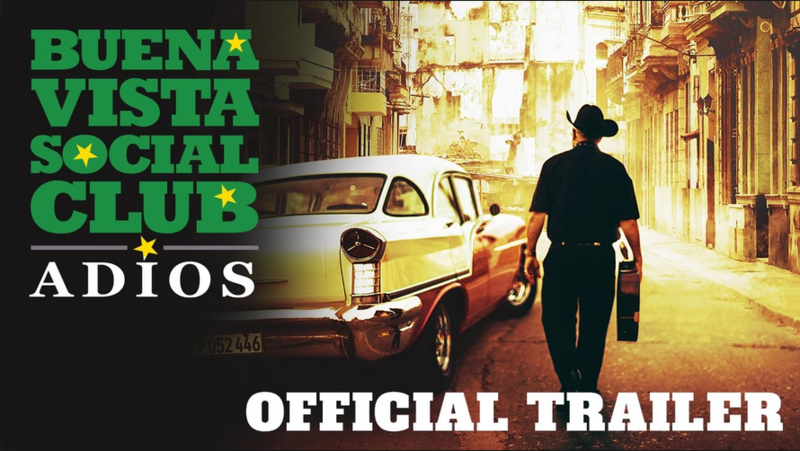 Watch the movie trailer for Buena Vista Social Club: Adios - coming to select USA theatres May 26, 2017! The musicians of the Buena Vista Social Club exposed the world to Cuba's vibrant culture with their landmark 1997 album. Now, against the backdrop of Cuba’s captivating musical history, hear the band’s story as they reflect on their remarkable careers and the extraordinary circumstances that brought them together.